The Shivoham Shiva Temple, located in the heart of Bangalore, is abode to a 65-feet-tall Shiva statue. Seated in a yogic posture, the deity is a towering symbol of faith. 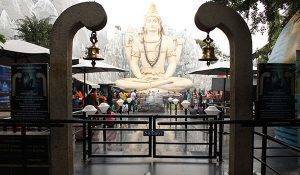 The Shivoham Shiva Temple, located in the heart of Bangalore, is abode to a 65-feet-tall Shiva statue. Seated in a yogic posture, the deity is a towering symbol of faith. Lakhs of devotees throng the temple to experience God, especially on festive days. The majestic Lord sits in a lotus position and has in the background Mount Kailash, and the holy river Ganges flowing from the His matted locks. The sense of tranquility that one experiences by looking at this 65-feet marvel, surrounded by mountains and with the blue sky above, is overwhelming. The look on Lord Shiva’s face is so serene that it calms anyone who looks at him. The positive energy that exists in the place is overpowering. It is a feeling that one must experience in his / her lifetime. Lord Ganesha, also known as the ‘Lord of Beginnings’ is traditionally worshipped before starting new endeavors, rituals and ceremonies. Lord Ganesha, also known as the ‘Lord of Beginnings’ is traditionally worshipped before starting new endeavors, rituals and ceremonies. We at Shivoham Shiva Temple have also upheld this custom. Our 32-feet-tall VignaharanGanesha is the first deity at the temple devotees offer their prayers to. The white statue of the Ganapati is seated first in the path of pilgrimage through the Shivoham Shiva Temple. The Ganesha idol blesses devotees as they offer their prayers to him. 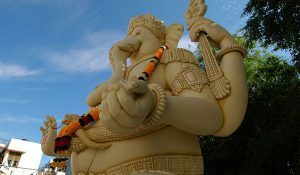 The sweet-toothed Ganesha is depicted holding a modak in his left hand. The word Vighnaharan means “remover of obstacles.” Devotees tie the ‘Vighnaharan thread’ near the Ganesha praying for their troubles to be resolved. Along with being the destroyer of evils and obstacles, Ganesha is also known as the Lord of success. 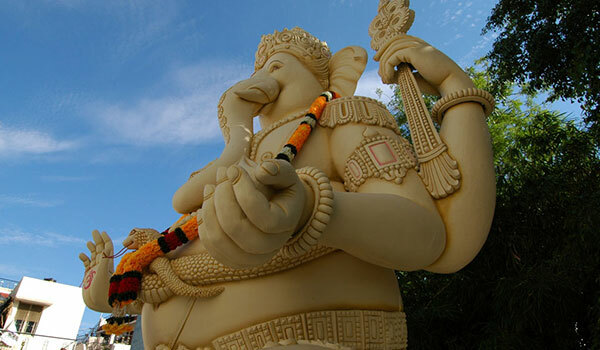 Ganesha is also worshipped as the god of education, knowledge, wisdom and wealth. Thousands of devotees throng Shivoham Shiva Temple on special festive days like Ganesha Chaturthi to worship the mighty elephant god. The word ‘Navgraha’ is related to Planets and the Universe. The planets are placed in Universe and each of them moves in their own way without disturbing others. 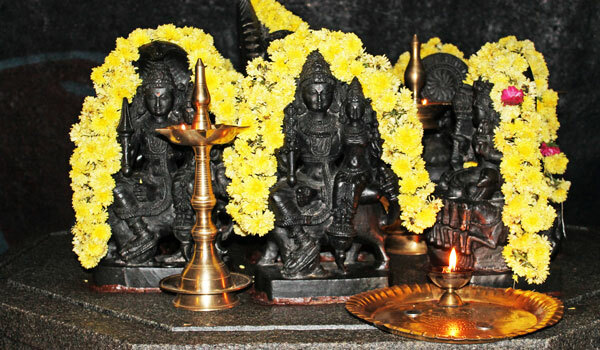 Navagraha pooja is done to please the influencing Gods of the nine planets and thus to bring harmony into one’s life. The Navgraha pooja is conducted by making a till batti for all the nine grahas and offering it to the Gods in the form of an aarti and circumambulating the grahas nine times. The PratyakshLinga is hidden under the sacred waters of Manasa Sarovar Lake at the Shivoham Shiva Temple. 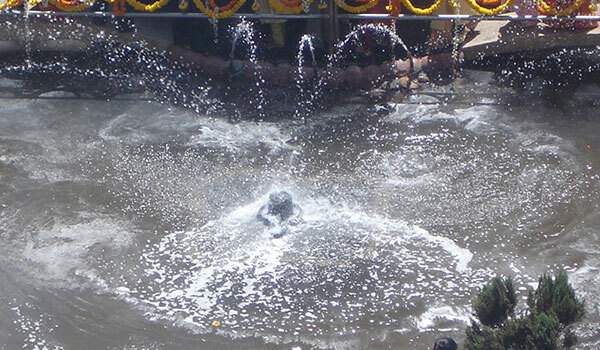 This Linga remains submerged in the water and as soon as the aarti starts, it appears out. After the aarti is over, the Linga disappears! The Linga symbolizes that God’s miracles are mystical and everything happens only at the right time as per His wish. This also suggests us to have Faith because God can turn the impossible into possible. Devotees can catch a glimpse of the Pratyaksh Ling during the morning, evening and midnight aarti. The UpchaarPatthar at the Shivohamshiva Temple is a healing stone believed to cure and relieve devotees from suffering. Miracles are born out of faith. The Upchaar Patthar at the Shivoham Shiva Temple is a healing stone believed to cure and relieve devotees from suffering. Miracles are born out of faith. Devotees touch this healing stone with faith and experience miracles in their life. Many devotees have touched the Upachaar Patthar and have been cured of their ailments. Visit the temple, Touch this stone with Faith and be healed! At the entrance of the Shivoham Shiva Temple, there’s a huge 25-ft ShivaLinga Gate that symbolizes the sacred form of Lord Shiva. Thrown open to the devotees on February 18, 2012, the Linga represents the divine energy and infinite nature of Lord Shiva. 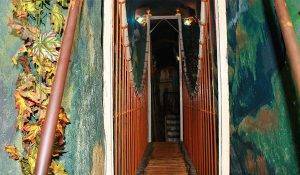 It has water falling from atop signifying milk abhishek. 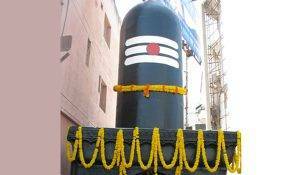 At 24 x 15 feet, it’s the biggest such ShivaLinga Gate in Bangalore. 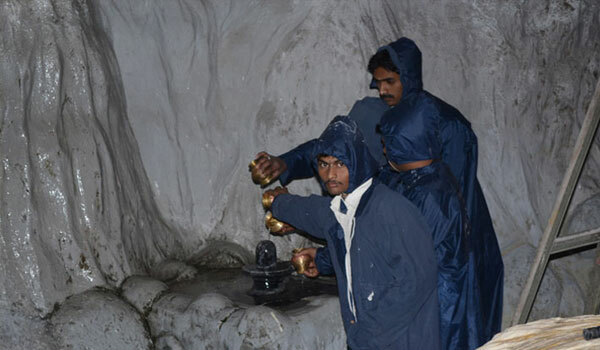 Pahadi Shiv Dham Yatra was started at the Shivoham Shiva Temple in 2010, on the auspicious day of MahaShivratri. The idea behind this Yatra is to give devotees a glimpse of the five most powerful holy places in the country. According to Hindu mythology, a pilgrimage to these five holy places helps one to attain moksha (liberation). But, it is not possible for everyone to visit all these holy places due to various reasons. However, at our temple, you can get a feel of all these places. In the Pahadi Shiv Dham Yatra, devotees climb the Himalayas, pass through Haridwar, Rishikesh, Badrinath, Kedarnath, and finally reach Amarnath. 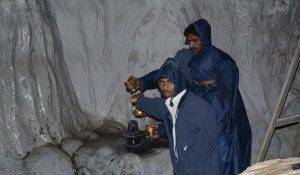 The devotees get a chance to witness all these shrines and also touch the sacred Shiva Linga of Amarnath, which is formed of ice. This journey amidst the frosty breeze and through the snowy mountains gives devotees the feeling of being present at the actual shrines. 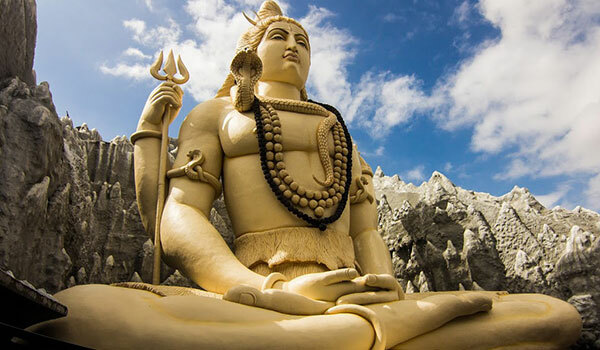 To spread the glory and power of Lord Shiva, the Shivoham Shiva Temple has organized a feat of 12 animatronics. This setup offers a unique opportunity for the devotees to make a holy pilgrimage under one roof. The BarahJyotir Ling Yatra is a special attraction of the temple. The spiritual vibrations in the temple bring a sense of spiritual belongingness and reverence, allowing all devotees to voyage through 12 sacred lingams from Mahakaleshwar to Rameshwaram, and from Somnath to Vaidyanath. Watch the Trishul beheading the demon at the Mahakaleshwar, Ganges flowing at the KashiVishwanath, snakes hissing at the Nageshwar, Hanuman carrying Lingam from KailashParvath to Rameshwaram for Lord Rama! Touch the snow-capped lingam at Amarnath, amaze yourself with the sight of a dead cow coming to life at Triyambakeshwar. Watch Narada Muni chanting “Narayan” and being blessed by Lord Shiva and feel your pulse as you open your eyes to Lord Shiva and Goddess Parvathi who come to meet Kartikeyan at Mallikarjun! The spiritual activity of Ganga Snaan was started in the Shivoham Shiva Temple on the day of MahaShivratri in 2009. In this activity, devotees take a bath in the Holy Ganges that flows out of Shiva’s matted hair. The holy Ganges flows from the top of the 65–feet-tall Shiva onto a Linga installed specially for this activity. Devotees perform Abhishek on this Linga during the Snaan and get blessed by Lord Shiva. The spiritual activity of Ganga Snaan was started in the temple on the day of Maha Shivratri in 2009. In this activity, devotees take a bath in the Holy Ganges that flows out of Shiva’s matted hair. 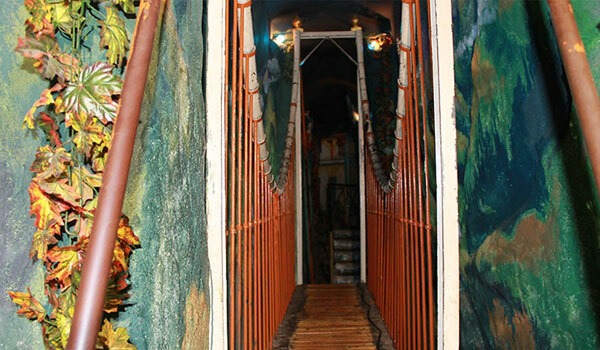 The holy Ganges flows from the top of the 65–feet-tall Shiva onto a Linga installed specially for this activity. 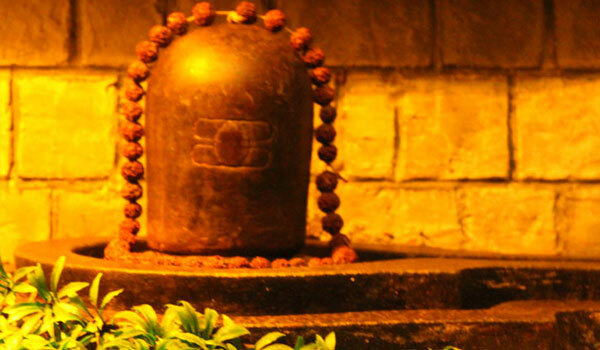 Devotees perform Abhishek on this Linga during the Snaan and get blessed by Lord Shiva. 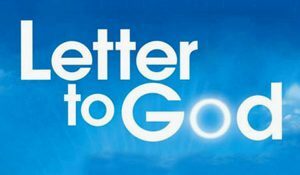 If you were given a chance to have a conversation with God, what would you ask Him? In a humble attempt to answer the many questions that a believer or a devotee may have, the Shivoham Shiva Temple organises a unique Light & Sound show every evening at 7:00 PM, 8:00 PM and 9:00 PM inside the temple. One of the most enriching and mystical spiritual experiences offered by the temple, the show is a vibrant and colourful expression of the divine communication between God and His devotees, and between a mother and a child. It is a conversation that compels one to reflect on the nature of our existence and life; to think with gratitude about the blessings that we have; and to learn how to connect through prayer, love, devotion and a thankful heart with the Divine Power that we call God, thus building a closer bond and relationship with Him. Using state-of-the art facilities, the 10-minute-long show is beyond spectacular ‑ it is spiritually stimulating. An array of spellbinding and enchanting lights, along with sublime dialogues, and mellow music create a mesmerising and ethereal effect, evoking awe, wonder and deep reverence for God. 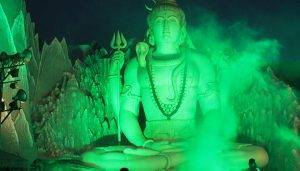 The Light and Show comes across as a divine and surreal experience, and the visual and audio impact as the lights fall on the towering 65-feet-idol of Lord Shiva, with mellifluous music and a riveting voice-over in the background, is breath-taking! It makes the statue come alive and leaves the audience enthralled. Pulsating yet calming and uplifting, the show inspires faith, belief and spirituality, and sanctifies the heart and soul of devotees. Altogether, it is an unforgettable experience. Join us and be a part of this transcendental and spiritually edifying experience!